Our solutions to law practice management challenges are based on decades of experience in both business and law. Our principal, Ed Poll, J.D., M.B.A., CMC, is a nationally recognized coach, law firm management consultant, and author who has coached and consulted with lawyers and law firms in strategic planning, profitability analysis, and practice development for over 20 years. Institute of Continuing Legal Education (ICLE,) formerly at the University of Michigan, Ann Arbor, MI. On November 3rd, 2010 Edward Poll received the first ever Lifetime Achievement Award given by the California State Bar's Law Practice Management and Technology (LPMT) Section. The award, which was named after him, was given due to his extraordinary level of service, enthusiasm, and vocal advocating for small firms and solo practitioners. 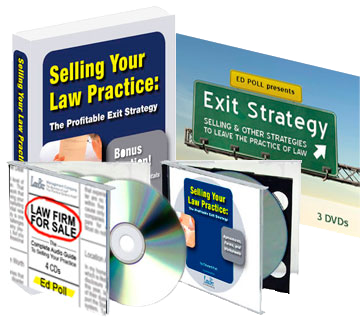 Secrets of The Business of LawÂ®: Successful Practices for Increasing Your Profits! Contributor, The Bottom Line, State Bar of California, Accounting and Financial Planning for Law Firms, and the LA Daily Journal. 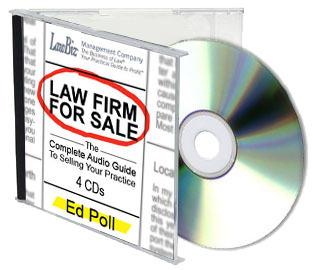 Find out how you can get a bigger income, a more satisfying practice, and peace of mind by contacting Ed Poll today.